Home > EARTH Stories > A royal encounter: EARTH student celebrated alongside other CAMFED alumnae, meets Prince Harry of England. EARTH University student and Mastercard Foundation Scholar Esnath Divasoni (’19, Zimbabwe) recently enjoyed an enthusiastic audience with Prince Harry of the British royal family. While back in Zimbabwe completing a professional internship, Esnath was invited to participate in an event in Lusaka, Zambia. Organized by the Queen’s Commonwealth Trust, the gathering celebrated the accomplishments of the region’s young changemakers. She and the other young female participants were all former beneficiaries of CAMFED, a nonprofit organization that has funded the secondary schooling of more than 1.2 million girls from low-resource households in five African nations since 1993. Over the years, CAMFED’s alumnae network (CAMA) has grown into a force of 120,000 active women advocating for change across sub-Saharan Africa. The Queen’s Commonwealth Trust – one of CAMA’s first donor partners – aims to “find and fund young people whose bright ideas solve local problems in education, health, the environment, and sport”. 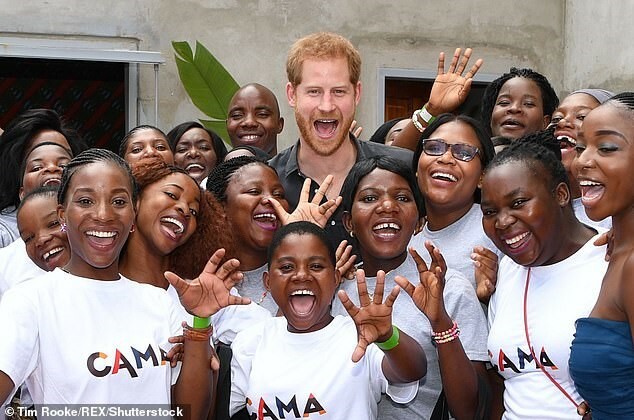 As its president, the Duke of Sussex (aka Prince Harry) works to connect young people as a global movement for good and support their social-impact projects. At the event, young and upcoming CAMA leaders gave speeches about how the Queen’s Commonwealth Fund enables them to expand their reach and uplift more people. They shared stories of triumph about their efforts to end child marriage, start social enterprises, and help girls access further education. They also really enjoyed Harry’s company. Esnath’s life story is not unlike those of many CAMFED and EARTH scholars. Her parents grew up poor and had to end their educations after primary school. Even though they fought for better opportunities for their seven children, financial and social pressures necessitated Esnath’s four older sisters marrying at an early age. When her father lost his job at a commercial farm, Esnath fearfully assumed her dream of a full education had come to an end. Luckily, she and CAMFED found one another. For five years, the organization paid for Esnath’s secondary school tuition, uniforms, and books. After graduating, Esnath committed to giving back by becoming an enthusiastic member of the budding and increasingly influential CAMA network. She held life skills trainings and aiding local girls in applying to university. While volunteering for CAMA, Esnath was tasked with coordinating a trip to EARTH University in Costa Rica. Sponsored by Mastercard Foundation, the educational program took 15 young women from Zimbabwe, Zambia, and Tanzania to learn about eco-stoves, solar water heaters, and sun-powered dehydrators. In fact, it was through this partnership between CAMFED and Mastercard Foundation that Esnath first learned about a scholarship to study Agricultural Sciences at EARTH. Esnath interned with ADRA Zimbabwe. ADRA (The Adventist Development and Relief Agency) is the global humanitarian arm of the Seventh-day Adventist Church delivering relief and development assistance to individuals in more than 130 countries. Esnath’s role involved assisting farmers: giving technical advice, training them on sustainable methods and how to find high-value markets for their products, and coordinating visits to encourage them to exchange knowledge with one another. Over the years, EARTH University has welcomed 18 young women referred by CAMFED. Esnath and her fellow CAMFED alumnae at EARTH founded the first CAMA chapter outside of Africa. Together, they volunteer in a campus-neighboring community, assisting at a play center for children of low-income families. They plan activities for the curious kids around proper hygiene, anti-bullying, and life outside Costa Rica. “After school there is no one at home. Their parents have to work. So, they come to the center,” Esnath says. “In many ways they are like us. We know what their life is like”. 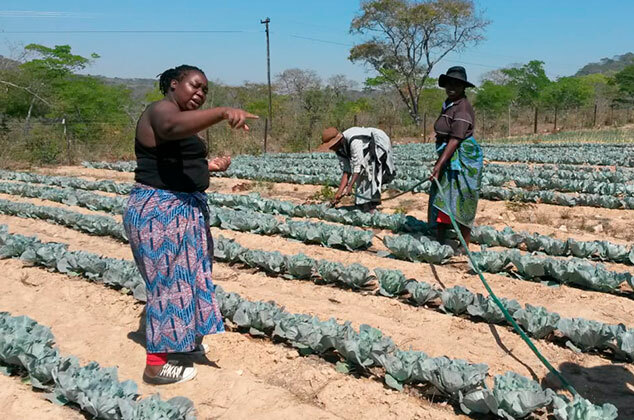 Upon graduating from EARTH in December, Esnath plans to be a social entrepreneur in agriculture, creating much-needed jobs and promoting sustainable farming methods throughout Zimbabwe. Having witnessed the damaging effects of climate change in her community, she is committed to empowering farmers to employ resiliency practices. “I always say, I am a product of the community and it is my duty to give back to them,” Esnath says. “The EARTH degree is one of the ways in which I will unlock the potential in me and in the community”. Esnath continues to inspire girls to pursue education by sending messages to her former secondary school and village. She freely shares her story, seeing it as evidence that all girls, no matter their background, have the potential to break the cycle of poverty and achieve their dreams – as long as they are given the chance. To read more about Esnath, click here.